The Lowcountry Trail consists of a beautiful boardwalk that crosses the hillside overlooking Mainfield, a restored rice field of the former Brookgreen Plantation. For enslaved Africans at Brookgreen, this hill was a bridge between the world of daily work and life in the slave village beyond its crest. 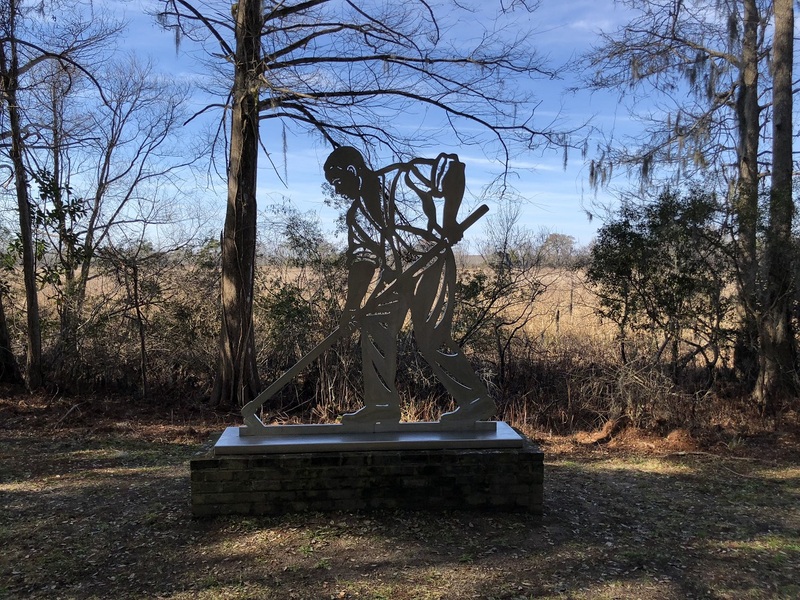 Along the trail are interpretive panels that describe life on a rice plantation and four stainless steel figures that represent the Plantation Owner, the Overseer, an Enslaved African Male and an Enslaved African Female. These figures serve as visually compelling landmarks to draw visitors along the trail and to interpret a revealing story about each one’s role in the economic and social system of a Lowcountry plantation.